Do you love coming up with fun projects that let others explore their creativity? Do you love working with kids and believe that there’s no such thing as a “bad” drawing? Do you love taking chances, getting messy, and making mistakes? If the answer to all those questions is “yes,” you might be the perfect candidate for Buffalo State College’s art education program. Michael Parks, professor emeritus of art education, cites evidence from the College Board and the National Art Education Association that studying, creating, and analyzing art supports the state's Common Core requirements for literacy in public K-12 schools. "Teaching visual arts is very much in line with current state standards," Parks said. "The adage that art is about ideas, not about putting a pretty picture on the wall, supports this. Images are metaphorical and parallel how students evaluate literature and write explanatory text." "I get e-mails regularly from districts in states in the South and West where the population is growing," Parks said. "They want our graduates." 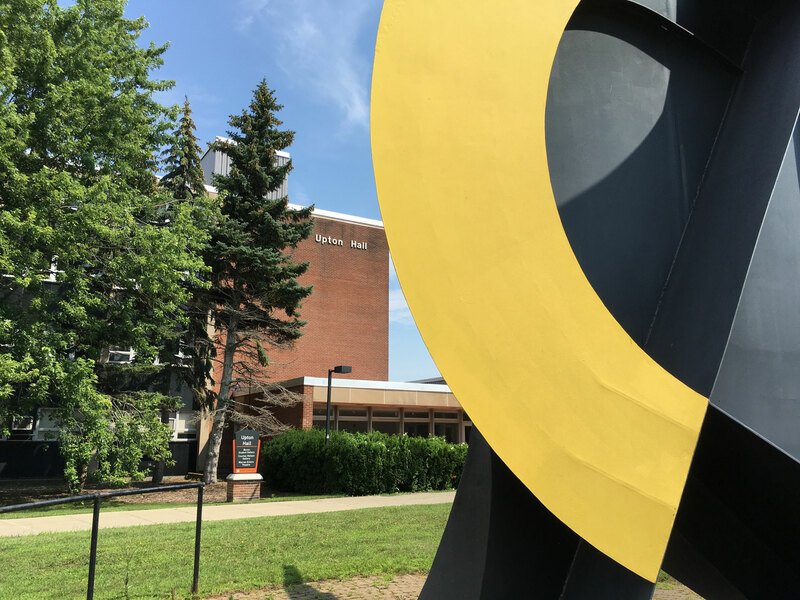 Buffalo State offers a bachelor of fine arts (BFA), a post-baccalaureate certification, and a master of science in art education, as well as a minor in art therapy. Our undergraduate art education program trains students to be both educators and artists. Art education students work side-by-side in studio classes with art and design majors. This means that art education majors are able to develop their resumes and their portfolios. Art education majors graduate with a bachelor of fine arts (BFA) rather than a bachelor of science. Graduates emerge with a concentration in one of the studio arts, along with a deep knowledge of art history and an advanced approach to art-making. Stellar faculty: Our award-winning faculty members are recognized at the national level for their expertise in the field. The program’s first director, Stanley Czurles, was one of the founding members of the New York State Art Teachers Association. Small class size: Most classes within the major have between 10 and 14 students meaning students receive lots of individualized attention. Hands-on learning: Each semester in the student’s junior and senior year, he or she will work in an area school’s art classroom for a total of 100 hours. Affordability: Buffalo State offers the most comprehensive, relevant and affordable visual arts undergraduate education in Western New York.  Two Honors Programs: Qualifying students can participate in the Muriel A. Howard Honors Program or the Dean’s Honor Program. Honors students engage in special seminars, are rewarded with scholarships and awards, and receive priority registration for classes. Art Education Association Student Chapter: This nationally affiliated group initiates numerous professional development activities that help students polish leadership skills, meet and work with seasoned teachers, and socialize with their peers. Art Partners: This is a collaborative fieldwork program that enables Buffalo State students to teach and engage urban students attending Buffalo Public Schools who have special learning needs and/or experience high levels of poverty. Anne Frank Project: Inspired by the wisdom of Holocaust victim Anne Frank, AFP is a social justice festival that uses storytelling, performance, and art exhibits as a vehicle for community-building, conflict resolution, and identity exploration. Students are encouraged to participate. Creative Expressions Learning Community: Visual arts, design, and theater students are encouraged to use their imaginations and explore new visual environments in a living community. Student Art Sale: Every year, students within the visual arts can enter artwork in this campus sale. Students keep 75 percent of their sale proceeds and also receive plenty of exposure. Visual Arts Board: A student organization dedicated to uniting Buffalo State’s visual arts community is open to all interested students. Coalition for Ceramic Designers: This student club invites nationally known ceramic artists as guest speakers, hosts kiln firing events, and collaboratively presents work in local galleries. Professional conferences: Students are encouraged to attend and present at local, state, and national conferences for art educators. Art education students can participate in undergraduate research, a student-faculty collaboration to examine, create, and share knowledge or works in ways commensurate with practices in the discipline. Burchfield Penney Art Center: Opened in 1967 as part of Buffalo State, this museum features the works of regional artists, including famed watercolorist Charles E. Burchfield. Located on campus, it has docent positions open to students. Buffalo State’s Community Academic Center: The CAC provides programming for families on the city’s West Side. Art education students have the opportunity to lead children in art-based enrichment activities after school and in the summers. Young Artists of Western New York: This workshop-based nonprofit organization has invited art education students to participate in some of its public art and other projects.